From shootings at schools, to closing of borders in Europe, to crises in the Middle East, to political debates, to heated discussions on the wearing of niqabs, it has been some time since we have seen so much intolerance on a global scale. Tolerance can be broadly understood as remaining open-minded and accepting of others’ differences in backgrounds, experiences, and beliefs. This translates into a workplace where employees know they are treated fairly, with dignity and respect, and without discrimination or harassment. A truly equitable and open organization ensures that its policies adhere to the legislation surrounding race, culture, gender, sexual orientation, age and physical ability. Today, tolerance and inclusiveness are essential values for any business to encourage among its employees in order to ensure the long-term success of the organization. Perhaps the most crucial business implication of increased workplace tolerance is the retention of highly committed and productive employees. As many businesses are learning, tolerance is tied to the bottom line of the organization. When employees feel included and valued, they develop a greater degree of loyalty to the business, and the work that they produce is of a higher quality. By endeavouring to create a sense of inclusiveness in your company, hiring staff that reflects the diversity of your community is one way to start. All staff should attend mandatory training in “cultural sensitivity”, and maintain business with the same approach. Teams can arrange potlucks with cuisine from different staff members’ cultural backgrounds each month, or feature a staff member’s “story” in their internal newsletter to introduce them to the organization, , thereby creating a sense of welcome. Ultimately, a company culture that is free from prejudice and encourages greater tolerance and inclusiveness, results in greater understanding and better working relationships between employees, higher employee satisfaction and productivity, and a more attractive and lucrative business. What is your business doing to foster a culture of inclusion? Is your organization polarized? Could your business be doing more? Categories: employee retention, healthy workplace, workplace culture | Tags: Business, collaboration, communication, connectedness | Permalink. There are literally hundreds of events and activities taking place this week across Canada in support of Mental Illness Awareness Week. As the owner of an EAP, I want to support these activities and share with you a few ideas on how to promote mental illness awareness within your organization. Mental illness has often been referred to as the faceless disorder because it is truly hard to tell if a person is suffering from a variety of disorders that affect thinking, behaviour, or mood. Despite the fact that 1 in 5 Canadians experience a mental health problem, the significant stigma associated with it results in deeper suffering and a resistance to wanting to share diagnoses. For employers, mental illness costs Canadian businesses more than $6 billion a year, and it is the #1 cause of short- and long-term disability in Canada. Knowing your employees suffering from mental illness may be afraid to reach out for help, as a leader within your organization, you can help them by promoting awareness of mental health and illness within your company. Here are a few ideas I’d like to share with you to help you support your teams. As with any organization-wide initiative, it starts with a top-down approach of the organization. Provide information to your managerial staff to raise awareness about the issue and ask for their involvement in planned activities. Your key decision-makers are the driving force of the organization, and so their support and participation is needed for awareness to be raised across the entire organization. You can get your staff involved and feeling supported by informing them of upcoming community events or by planning internal activities within your organization. Fortunately, there are numerous MIAW events that run from October 4th to 10th, but you can get your team involved at anytime. Start by selecting a few events and then presenting the opportunities to participate in these as a company team, maybe even as an event sponsor! You can use this as a team-building exercise and at the same time bring awareness about this issue. The Centre for Addiction and Mental Healthhas a list of resources and events that are accessible throughout the year, such as Mindfest, which is an all-day mental health and wellness fair hosted by the University of Toronto at Hart House in October. The Canadian Mental Health Association organizes a list of events that run across Canada. For example in Ontario, there is the Consensus Conference on the Mental Health of Emerging Adults: Making Transitions a Priority in Canadathat takes place November 2-4, 2015. In British Columbia, there is an upcoming event, Mental Health Works – Solutions for Responding to Mental Health at Work, set to take place on November 30th this year. CMHA has many provincial divisions so it is very likely that there are events being run near you. Plan activities within your organization designed to support employees that are suffering from feelings of isolation or depression. For example, host a “pot luck lunch” or “animal picture” day. You might want to have a brainstorming session with your employees to decide on the best activity for your organization. A Lunch and Learn session: Speak to your EAP provider to discuss having a professional speaker come in to talk to on the issue of mental illness. 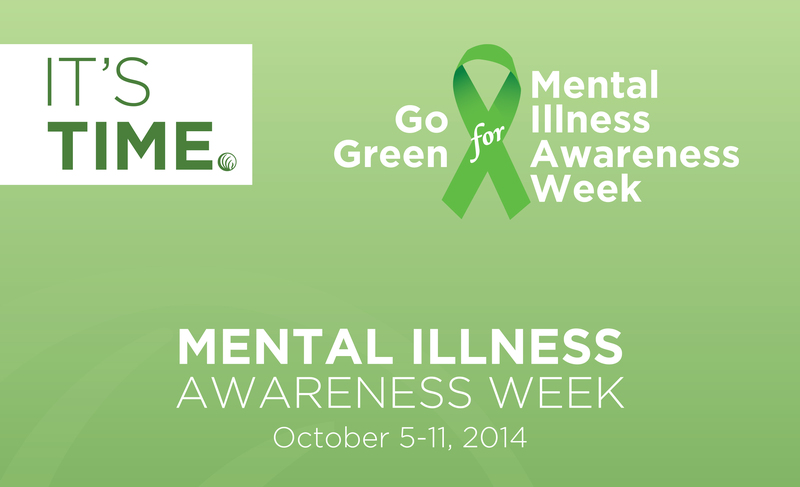 Send daily mental health awareness emails to staff during MIAW. The emails would be short, inspirational while also offering them support by linking them to your EAP provider for confidential support. Create a “video lunch” – show a short, informative or inspiring video that could be shown during lunchtime or sent via email. Here are some examples of videosthat could be shown. Reward your employees for their work – it goes a long way. Mental illness is a big issue to tackle, but fortunately there are resources available to help. Your EAP will provide access to workshops, counselling, and services designed to raise awareness, provide support, and treat mental illnesses. It is important that there is an open dialogue about mental health and illness in the workplace. Learning more about your employees and their needs could help you make the most beneficial decisions to increase mental health and overall happiness in your workplace. What are some of the ways that your business has incorporated mental health and illness education? Categories: EAP, Mental Health | Tags: Mental health, Mental illness | Permalink.